Signed l.l. 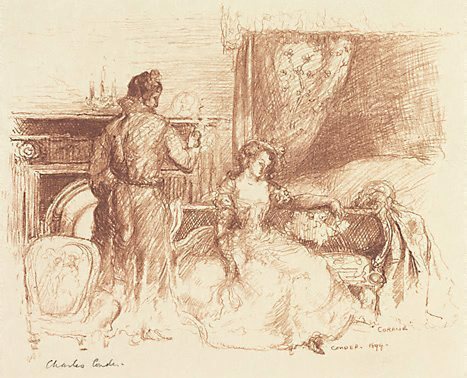 corner, pencil "Charles Conder.". Signed and dated to print l.r., brown-red ink "CONDER. 1899".